Welcoming you to join our conversation about our favorite Android news, tools, tips and tricks. This could be the biggest phone of the year! Samsung looks set to launch the Galaxy Note 4 on September 3rd in Germany, just a few days before this years IFA technology fair in the same place. Samsung has seen a major drop in sales so far this year. This may be because many users are gradually considering the world's largest phone manufacturer to be a producer of cheap plastic, knock-offs or even thoughtless devices in every conceivable configuration hoping to be everything to everyone. This poor opinion of the brand has been present in discussion around almost every Samsung device with the exception of the Note line. Despite the original Samsung Galaxy Note taking flak for being too big, and not breaking any sales records, it was rarely spoken of with negativity. This has held through to the current Note 3, which is a nearly 6-inch device that is beloved by those that use it. Head on over to my Android Authority post if you want to see what is expected of the Note 4, otherwise, let me summarize below. 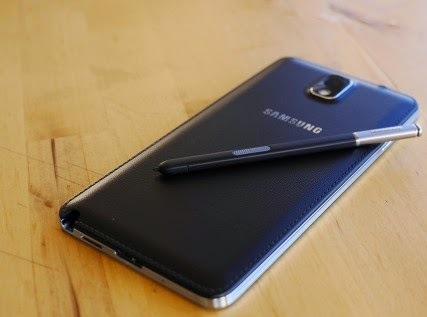 The Galaxy Note 4 does not look to stray from the fundamentals of the Note line. A 5.7-inch display gets a bump to QHD resolution, perhaps with a curved display configuration as well, but that is yet to be seen. The remaining specs are impressive, but realistically considered a natural progression of the technology. 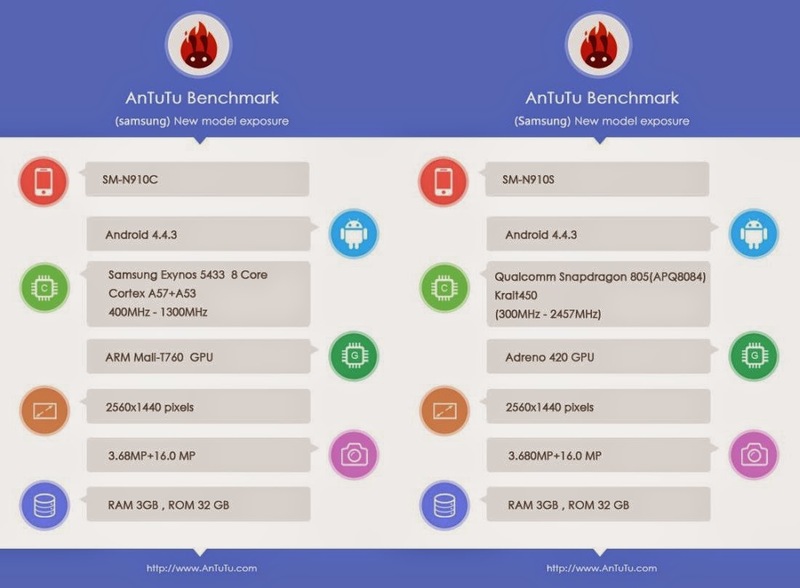 It should be noted that early AnTuTu benchmarks have seen the Exynos 5433 BIG.little configuration score more than forty thousand points, and that while clocked at just 1.3GHz. That's an impressive score compared to the mid-thirty thousand point scores achieved by the current line of flagship devices. So, what we have here is a large form factor smart phone, equipped with the best hardware that can reasonably be produced today. Users can expect great things from this device, especially since, in my opinion, Samsung needs to focus on this device and make it a feasible purchase for all users. Sure, it is a premium phone, and will be priced as such, but I think it would do them well to price it competitively, especially compared to the Galaxy S5. I believe that the Note line should, and could, be Samsung's flagship line. There is too much bad blood around the S5, and users need help to forget about the many poor offerings that haven't stuck. The big question now, is Samsung risking failure by rushing the Note 4 to market. Sure, they need to compete with new iPhone offerings due in the same month, but to rush, and ruin, the Note 4, would be a major disservice to their image at a time when they need something good. Don't screw it up, Samsung! Where do you sit on this matter, is the Note 4, and Note lineup altogether, too large of a device for your needs? JonathanFeistDevelopments.com. Awesome Inc. theme. Powered by Blogger.